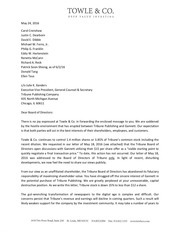 This PDF 1.5 document has been generated by Microsoft® Word 2010, and has been sent on pdf-archive.com on 16/02/2016 at 15:37, from IP address 75.176.x.x. The current document download page has been viewed 268 times. so on. I’ve heard it for months. and likely continue to trade at one of the widest discounts in the BDC universe. best quarterly numbers in the BDC universe despite its aggressive CLO equity marks. 3. Structured the sale of investments to generate outsize economics for the external manager. portfolio company earnings and profits. knew its marks were not good. 6. Hides non-accruals with debt-for-equity swaps to report a better headline number. qualifies for the non-accrual list. substantially more AUM to earn similar compensation. Why did he leave? court the debt capital markets. Even marginal, non-IG rated BDCs can float a baby bond. Prospect Capital is not investment grade, period. designed entirely to fool the retail-heavy investor base who does not know better. 1. Prospect Capital slowly writes down its book, particularly its oil-related investments. 2. 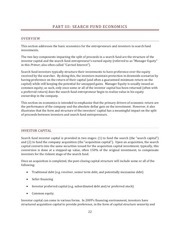 Prospect Capital raises dilutive equity to fix a leverage problem, helped by the fact that its everchanging shareholder base granted it this power. anyone who dare tells them that this BDC is a dog. When Prospect Capital falters, it will be purely due to mismanagement, not the “shorts” or the critics. Prospect Capital is a bad investment at any price. But we’ll revisit in a year or two. You’ll see. obvious signs of trouble. Best of luck to you. This file has been shared by a user of PDF Archive. Document ID: 00340356.